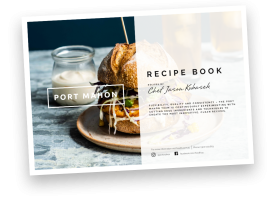 Submit your details and we will send you a free copy of our Port Mahon recipe e-book written by top chef, Jason Kubasek. Port Mahon is the perfect addition to your menu. Custom Manufacturing – we can develop exclusive recipes. From time to time, we will send you all the latest news about our products, new releases & recipes. You can unsubscribe at any time.